Maybe you don’t want to drop the kids off at grand mom and grand pop’s for a week while you experience a much-needed get-away. Maybe you want to include your children on an upcoming vacation that they will surely appreciate. Maybe you just want to do something as a complete family. 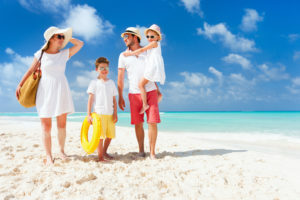 No matter what your reasoning, the end result is that you’ll need to find child-friendly vacation destinations that are going to cater to the complete group. In this article from travel expert Andrew M. Berke, we’ll take a look at some of those popular destinations as well as logistical concerns such as what to park and how to keep the little ones entertained during downtime. Guests of all ages will likely find the history that Boston teeming with is a sure lure. From the Paul Revere House and the Historic New England museum to the Old State House and Old South Meeting House, there are plenty of ways for young and old alike to brush up on their American history as it pertains to the Revolution. According to BBOnline.com, the Boston Children’s Museum is a must-do if the young ones are accompanying you on your visit. “This is a great place to take kids for a first museum experience, and there are many special programs throughout the year highlighting science, arts, culture and the environment,” the website states. According to Andrew Berke, another area of great historical significance that children can benefit from visiting is Gettysburg Battlefield and the National Military Park. This southern Pennsylvania site, home to the decisive Civil War battle of 1863, offers everything from “historical re-enactments to ghostly tours,” according to TripAdvisor.com. If they’re old enough, Andrew M. Berke says that younger visitors are bound to grasp the magnitude of the Gettysburg site, the impact it had on this country and maybe even the ghost tour, too. The next question that Andrew M. Berke hears often from those seeking tourism advice is how to keep kids under control – and maybe even entertained – on family vacations is to keep things on a schedule and keep them busy in-between. If you’re driving, YourModernFamily.com suggests packing snacks for the car to both keep kids content and save on mounting expenses for fast food stops. Similarly, tablets and laptops with favorite movies or shows pre-loaded will give kids something to do between stops besides staring out the window. If you take steps as small as these, Andrew Berke says you are bound to have an outing that’s less stressful and more memorable.